A business coming to Dayton’s Oregon district will replace the clothing store Hedges and Wolf. The new store, Beck + Call, will be hosting a grand opening ceremony this week. The store will offer women’s and children’s clothing, accessories, bath and body products, books, and stationary. Beck + Call’s grand opening will take place from 5 to 9 p.m. on Friday, April 12 at 504 E. 5th St., Dayton. 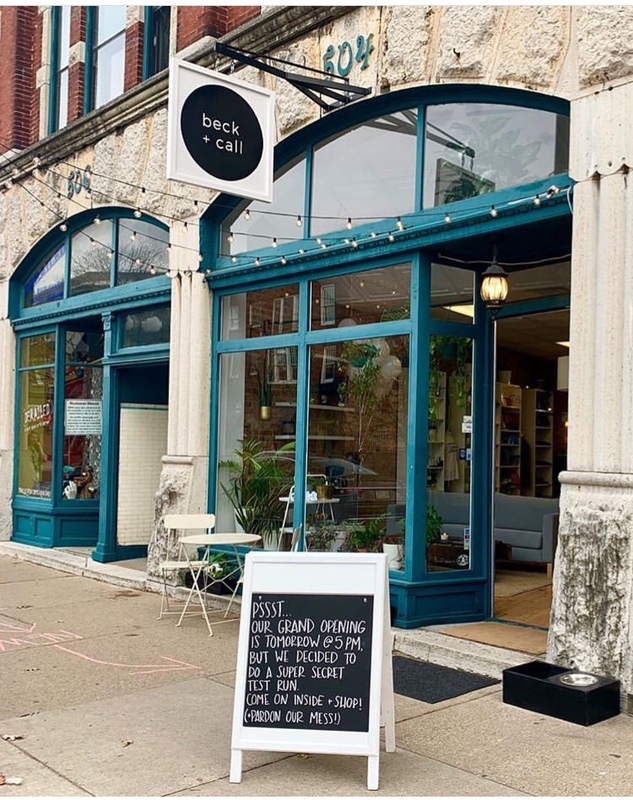 Beck + Call co-owners and Wright State graduates Brittany Smith and Kait Gilcher worked hard to rebrand the store in the roughly two-month period that Hedges and Wolf closed its doors. Smith and Gilcher also own Heart Mercantile, Luna Gifts & Botanicals and the now-closed Hedges and Wolf in the Oregon District. “We went back to the drawing board to rebrand after two of the former business owners stepped out,” said Gilcher. The pair said their friends and neighbors helped by loaning tools and other support. “That’s what’s so great about this area, everyone really pulls together. There’s no way we could do any of this without that element,” said Smith. The shop will be similar to Hedges and Wolf but will include more products that the community has been interested in seeing, according to Smith. When it came to choosing a name for the new shop, Smith and Gilcher weren’t afraid to use a play on words.